The aim of supervised, machine learning is to build a model that makes predictions based on evidence in the presence of uncertainty. As adaptive algorithms identify patterns in data, a computer "learns" from the observations. When exposed to more observations, the computer improves its predictive performance. Specifically, a supervised learning algorithm takes a known set of input data and known responses to the data (output), and trains a model to generate reasonable predictions for the response to new data. For example, suppose you want to predict whether someone will have a heart attack within a year. You have a set of data on previous patients, including age, weight, height, blood pressure, etc. You know whether the previous patients had heart attacks within a year of their measurements. So, the problem is combining all the existing data into a model that can predict whether a new person will have a heart attack within a year. You can think of the entire set of input data as a heterogeneous matrix. Rows of the matrix are called observations, examples, or instances, and each contain a set of measurements for a subject (patients in the example). Columns of the matrix are called predictors, attributes, or features, and each are variables representing a measurement taken on every subject (age, weight, height, etc. in the example). You can think of the response data as a column vector where each row contains the output of the corresponding observation in the input data (whether the patient had a heart attack). To fit or train a supervised learning model, choose an appropriate algorithm, and then pass the input and response data to it. Supervised learning splits into two broad categories: classification and regression. In classification, the goal is to assign a class (or label) from a finite set of classes to an observation. That is, responses are categorical variables. Applications include spam filters, advertisement recommendation systems, and image and speech recognition. Predicting whether a patient will have a heart attack within a year is a classification problem, and the possible classes are true and false. Classification algorithms usually apply to nominal response values. However, some algorithms can accommodate ordinal classes (see fitcecoc). In regression, the goal is to predict a continuous measurement for an observation. That is, the responses variables are real numbers. Applications include forecasting stock prices, energy consumption, or disease incidence. Statistics and Machine Learning Toolbox™ supervised learning functionalities comprise a stream-lined, object framework. You can efficiently train a variety of algorithms, combine models into an ensemble, assess model performances, cross-validate, and predict responses for new data. All supervised learning methods start with an input data matrix, usually called X here. Each row of X represents one observation. Each column of X represents one variable, or predictor. Represent missing entries with NaN values in X. Statistics and Machine Learning Toolbox supervised learning algorithms can handle NaN values, either by ignoring them or by ignoring any row with a NaN value. You can use various data types for response data Y. Each element in Y represents the response to the corresponding row of X. Observations with missing Y data are ignored. For regression, Y must be a numeric vector with the same number of elements as the number of rows of X. For classification, Y can be any of these data types. This table also contains the method of including missing entries. Details of the algorithms appear in Characteristics of Classification Algorithms. More detail about ensemble algorithms is in Choose an Applicable Ensemble Aggregation Method. The fitting function you use depends on the algorithm you choose. For a comparison of these algorithms, see Characteristics of Classification Algorithms. After validating the model, you might want to change it for better accuracy, better speed, or to use less memory. When satisfied with a model of some types, you can trim it using the appropriate compact function (compact for classification trees, compact for regression trees, compact for discriminant analysis, compact for naive Bayes, compact for SVM, compact for ECOC models, compact for classification ensembles, and compact for regression ensembles). compact removes training data and other properties not required for prediction, e.g., pruning information for decision trees, from the model to reduce memory consumption. Because kNN classification models require all of the training data to predict labels, you cannot reduce the size of a ClassificationKNN model. obj is the fitted model or fitted compact model. Xnew is the new input data. Ypredicted is the predicted response, either classification or regression. This table shows typical characteristics of the various supervised learning algorithms. The characteristics in any particular case can vary from the listed ones. Use the table as a guide for your initial choice of algorithms. Decide on the tradeoff you want in speed, memory usage, flexibility, and interpretability. Try a decision tree or discriminant first, because these classifiers are fast and easy to interpret. If the models are not accurate enough predicting the response, try other classifiers with higher flexibility. To control flexibility, see the details for each classifier type. To avoid overfitting, look for a model of lower flexibility that provides sufficient accuracy. Combine multiple binary SVM classifiers using fitcecoc. Yes Medium for linear. Slow for others. Medium for linear. All others: medium for multiclass, large for binary. Easy for linear SVM. Hard for all other kernel types. Naive Bayes — fitcnb Yes Yes Medium for simple distributions. Slow for kernel distributions or high-dimensional data Small for simple distributions. Nearest neighbor — fitcknn Yes Yes Slow for cubic. The results in this table are based on an analysis of many data sets. The data sets in the study have up to 7000 observations, 80 predictors, and 50 classes. This list defines the terms in the table. The table provides a general guide. 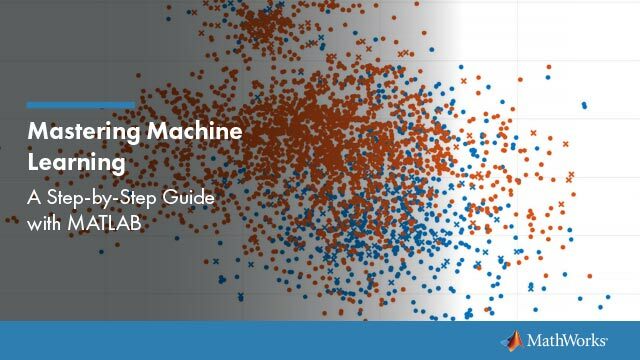 Your results depend on your data and the speed of your machine. 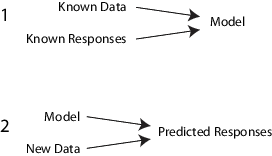 This table describes the data-type support of predictors for each classifier. Breiman, L. Random Forests. Machine Learning 45, 2001, pp. 5–32.